Puffy eyes stopping you from taking more selfies? Know that you aren’t alone. Many people suffer from the dreaded dark bags that seem to pop up at the most inconvenient time. Some people slather on make-up or simply opt to look the other way when they wake up to the unfortunate shadows. However, know that there are many more options than this. If you suffer from puffy eyes and have ruled out any medical concerns, there are a few things you can do to reduce and even eliminate the appearance of bags under your eyes. Don’t let puffy eyes stop you from anything! Learn what you can do to really combat those pesky dark circles Here are a few natural remedies to combat those puffy eyes. How do you get puffy eyes? It may feel like you just wake up one morning and BOOM unsightly puffy eyes. While puffy eyes can certainly come on quickly, there is a little more to it than that. There are a few specific things that contribute to your eyes not looking their best. Unfortunately, age is a leading factor. As you get older, the skin under your eyes naturally start to sag and can retain fluid and become puffy. Fluid retention can also happen due to allergies, eating too much salt, or even changes in hormones. Lack of sleep and hereditary can also play a role. 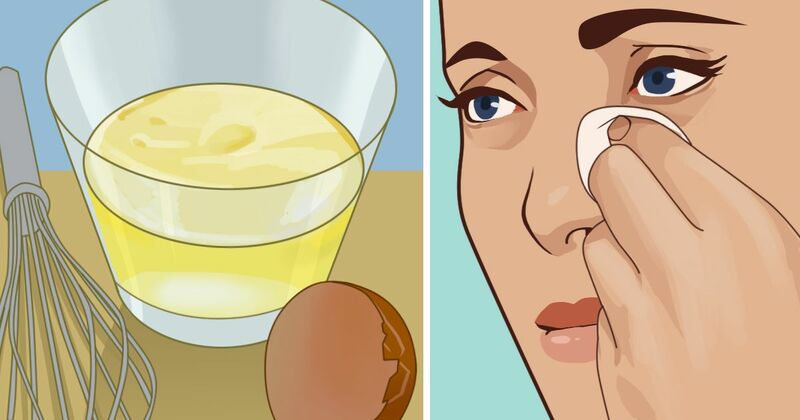 Egg whites and witch hazel prove to be the perfect concoction for puffy eyes. Tannic and Gallic acids are natural anti-inflammatories that work to reduce swelling. Egg whites tighten the skin. Mixed together, these two ingredients tone and reduce puffiness in the eyes. Putting a potato on your eyes may sound silly, but you won’t be thinking that once it removes the unsightly dark circle sunder your eyes. The starch in potatoes has anti-inflammatory properties that fight back against swelling beneath the eyes. Simply grate a potato and pack it in a clean washcloth. Press it to your eyes and leave in place for 10-15 minutes. Many people are familiar with the soothing impacts of cucumbers. The astringent properties found in cucumbers help blood vessels beneath the eyes restrict. The best way to use cucumbers is to slice it up and lay it over your closed eyes for 5-10 minutes. Not only will you feel more relaxed, but your eyes will thank you, too. A number of ways that cold water can help reduce swelling in the eyes. A few things to do are to simply splash your face with cold water, apply cold compresses directly to the eyes, or even drink water to promote hydration and reduce inflammation. Tea bags can do more than make a soothing drink, but can also work to reduce swelling and inflammation around the eyes. Try using cold, used tea bags twice daily to achieve the desired reduction in puffiness. Sometimes even a simple spoon can help cure puffy eyes. Cool metal spoons fit perfectly over the eye to provide instant relief for swelling. Forget about creams and soap.